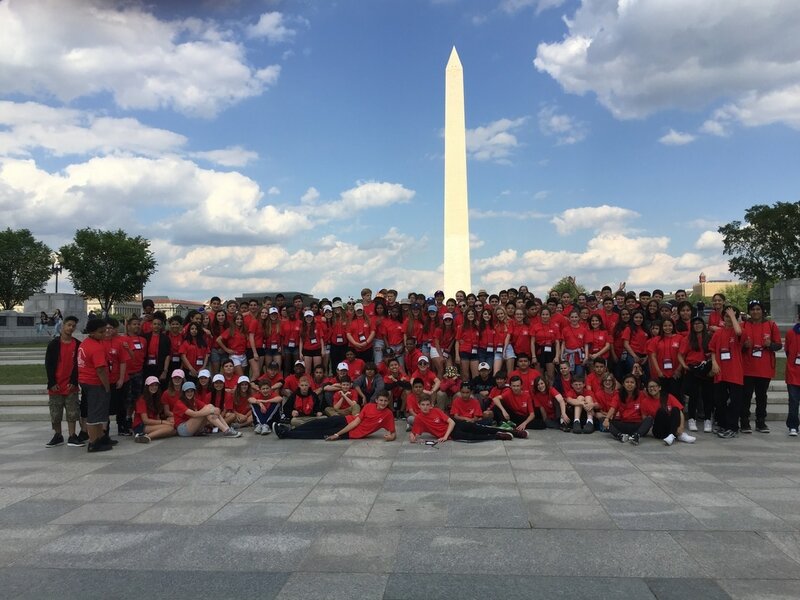 Every spring, the 8th grade makes a three day visit to Washington DC. An outing such as this is certainly fun for the students; however, the primary purpose of such a trip is an educational one and the trip provides a culminating experience for the students’ two-year study of United States history. Even though families do contribute to the cost of the trip and students raise money through school dances etc., it is also subsidized by the Foundation. This is a wonderful and memorable experience for all of the students. Last year they were able to visit the National Archives and the Smithsonian Museums, (Air and Space, Natural History, American History and Native American), as well as different monuments including the memorials on the National Mall. They were also able to visit Arlington National Cemetery, the Holocaust Museum, Newseum and still have time for dinner at Medieval Times.